Bob Hope arrived in New York on March 30, 1908 from Bristol, England. He came over with his family of seven. They arrived in New York, but moved to Cleveland, Ohio. Once arriving in America, he later went on to become a star of Broadway, vaudeville, television and radio in a career that spanned over 60 years. Due to his commitment to entertaining military personnel, the U.S. Congress declared him the “first and only honorary veteran of the U.S. armed forces” in 1997. Hope represented the story of many immigrants who entered America to become successful. In commemoration of his achievements and his life story, the Ellis Island library was given a new title- Bob Hope Memorial Library. Most famously known for the holiday single “White Christmas” and the infamous anthem “God Bless America”, Irving Berlin was Russian Jewish Immigrant who passed through Ellis Island as a child. In his lifetime he composed 1,500 songs, 19 Broadway Shows and 18 Hollywood movies. By the end of his life in 1989, he was known as one of the greatest songwriters in America. He emigrated through Ellis Island on September 14, 1893 under the name Israel Beilin. His ship, the Rhynland, departed from the city of Antwerp, Belgium. Berlin was only 5 years old at the time. He remained in America, living in New York City, until his death at age 101. You may not have even realized that the face of canned pasta was a real person. But he most certainly was, and he immigrated through Ellis Island at the age of 16. Ettore Boiardi came from his home town of Piacenza, Italy to join his brother, a waiter at New York’s Plaza Hotel at the time. He arrived May 9th, 1914. Ettore joined his brother at the Plaza, eventually being promoted to head chef. The inspiration for his line of canned Italian foods came in Cleveland. In 1928, he opened a factory for producing packaged Italian foods after realizing the demand for “take out” by many customers. The product was specifically sold under the name “Boy-Ar-Dee” so that Americans would correctly pronounce his last name. You may not recognize her name, but Mother Cabrini was one of the most influential immigrants ever to pass through the doors of Ellis Island. She arrived on September 24, 1894, at 43 years old. The passenger manifest lists her as Frances Xavier Cabrini. Cabrini was sent from her birthplace in Italy to New York by Pope Leo XIII. Her mission was to help poor Italian immigrants in America. She very much succeeded in her task, establishing orphanages, schools and hospitals in Italian neighborhoods all across the country. Pope Pius XII declared her a saint in 1946- making her the first naturalized citizen of the United States to be canonized by the Roman Catholic Church. She was later names Patroness of Immigrants in 1950. Another name that you may not have realized belongs to a real person. Entrepreneur Tom Carvel actually invented soft ice cream completely by mistake. He began by selling ice cream out of his tuck in Hartsdale, New York in 1929. One Memorial Day Weekend, he hit a bump with his truck which resulted in a flat tire. Desperate to get rid of the melting ice cream quickly, he continued to sell his product to customers and realized they actually enjoyed the softer texture. He later opened a roadside ice cream stand, establishing himself as the first retailer to develop and sell soft serve ice cream. Born in Athens, Greece, he arrived in America on May 26, 1911. Annie isn’t so much famous for her life, but rather for her timing. As she was the very first immigrant ever to be processed in Ellis Island on January 1, 1892. 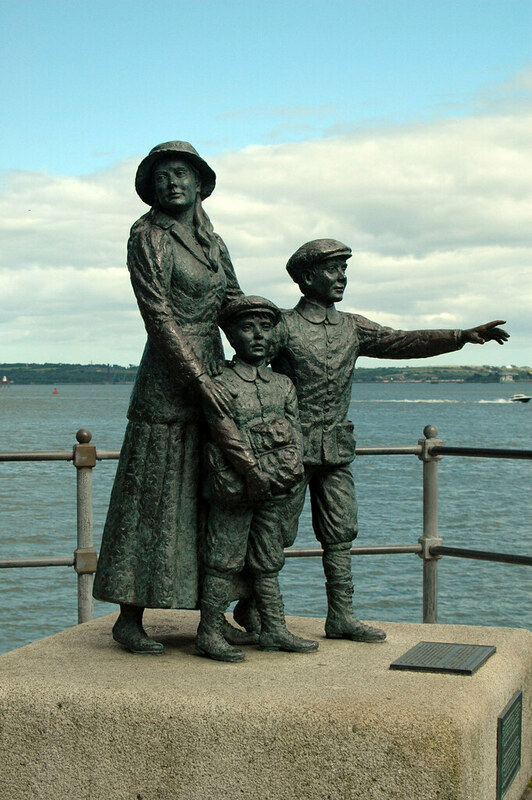 Annie was an Irish teenager coming into America with her two brothers, Anthony and Phillip. The three were joining their parents who had come to the United States in 1888. She departed for America from Country Cork, Ireland aboard the steamship Nevada. The boat carried a total of 148 steerage passengers, who would be led by Annie toward their new destination. It was revealed that Annie never left New York, but tragically died of heart failure at age 50 in 1924. In her life she gave birth to a total of 11 children. Johnny was best known for both his acting and athletic skills. He had one of the best competitive swimming records of the 20th century and famously played Tarzan in the films of the 1930s and 1940s. His exact birthplace is not certain, but the manifest at Ellis Island lists Párdány, Kingdom of Hungary. The ship left Rotterdam in January of 1905 and arrived in New York on January 26. Johnny was only seven months old at the time, being carried by his parents into the new world. He went on to win 5 Olympic gold medals for swimming and set more than 50 world records. After retiring from swimming, he went on to play Tarzan in a total of 12 films. To this day his distinctive Tarzan yell is often used in other movies. 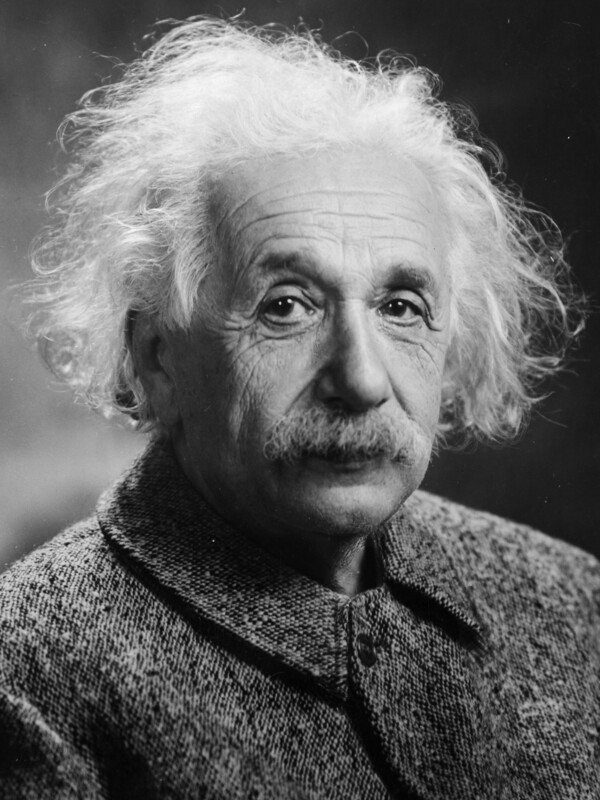 The man whose name today is synonymous with the word genius began his life in Germany before immigrating to the United States. He arrived on April 2, 1921 at the age of 43. His wife, Elsa, also joined him in New York City. After arriving, Albert received an official welcome from Mayor John Francis Hylan. By this time period, he had already developed the Theory of Relativity, but it was after his arrival in America that he accepted the Nobel Prize in Physics. His work unlocked mysteries of the universe yet to be discovered and established one of the two pillars of modern physics. Today he is one of the most famous scientists in the world, and his name will forever be remembered.